Natural painkillers currently take centerstage for those who prefer a holistic approach to pain relief. With so many natural options available without a prescription, there is no shortage of alternatives. While some solutions work better than others depending on the type of discomfort you are experiencing, many can be used regularly as a way to feel your best. Some pain is linked to a magnesium deficiency. Specifically, migraine headaches, back pain and cramps have been associated with a lack of this mineral. Substance P is a chemical that causes pain. Magnesium limits the production of this substance to minimize pain. Foods rich in magnesium are nuts, leafy green vegetables, legumes and whole grains. While exercise may seem like a last resort when you are in pain, it can be the best path to feeling better. Endorphins are released when you exercise. The challenge is to find an exercise that is feasible considering the pain you are experiencing. Consult with a physical therapist or chiropractor to get some advice about the best exercises for you. Meditation can offer pain relief in many cases. 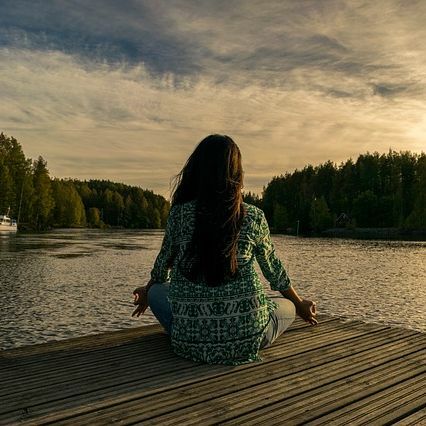 Since meditation helps people relax and stop worrying, it can take the focus off of pain. Basic meditation techniques are not difficult for beginners. Simply sitting still in a comfortable and quiet room and focusing on your breathing can be a good place to start to relieve stress and loosen up your muscles. It is impossible to miss all the hype surrounding turmeric's health benefits. Curcumin is the compound in turmeric that works as an anti-inflammatory to relieve pain. Turmeric is the spice found in curry and many Indian dishes. By simply sprinkling this spice on your food, you can benefit from pain relief, even when your pain is severe. Supplements are also available. Known for its anti-inflammatory properties, ginger has been used for thousands of years by the Chinese to treat pain. The severe discomfort associated with rheumatoid and osteoarthritis has responded to ginger. This powerful spice can be used in tea or food to soothe even the most severe aches and pains. In recent years, acupuncture has gained mainstream acceptance in the U.S. as a pain management tool. Filaments are strategically placed in certain spots on your body to facilitate improved energy flow. The science behind acupuncture proposes that better energy flow equates to less pain. Millions of believers rely heavily on regular acupuncture treatments as an ongoing pain management strategy. Used topically, capsaicin dulls pain. This substance is found in chili pepper plants. The way it works is that it desensitizes the neurons and leaves the area numb and free from pain. Frequent applications are often necessary for sustained relief. Massage boosts blood flow which encourages healing. Additionally, massage releases endorphins or "feel good" chemicals that also relieve discomfort. There are different types of massage, so you may have to experiment at first to discover what works best for you. While not all yoga positions work for easing pain, this practice is believed to lessen the pain associated with chronic conditions like rheumatoid arthritis, back pain and headaches. Focus on relaxation yoga and not power yoga for best results. 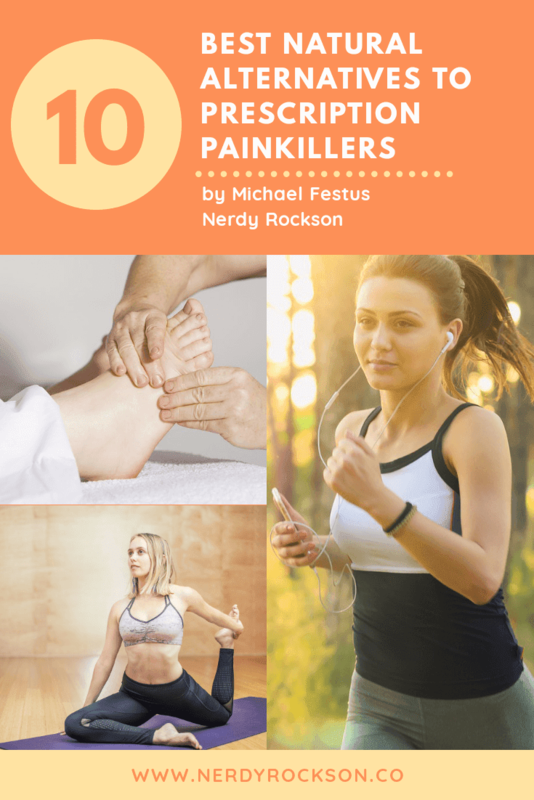 Aches and pains are common and often associated with sore muscles. Pain relief does not have to be complicated. One tried and true solution for muscle tension and discomfort is soaking in warm water. Immersing your body in a warm, soothing bath can make a world of difference. Whether you choose a deep soaking tub or have a whirlpool tub available, this pain relief method has no side effects and works well for many people. Pain is a fact of life. Identifying ways to treat pain can significantly improve the quality of your life. The natural alternatives above offer safe ways to address both chronic and temporary pain without turning to sometimes dangerous painkiller prescriptions.